Retirement planning is the cornerstone of personal finance. There are various schemes and pension plans which help you to accumulate funds to build your retirement corpus. 1 What Is National Pension Scheme? 2 How To Open A NPS Account? 5 Should We Invest In NPS? Private banks like HDFC, ICICI and Kotak have many attractive pensions plans while the government also offers its own pension plan better known as National Pension Scheme. Buying a pension plan, whether private or government, is a question which needs to be dealt with utmost diligence. As it's a long-term commitment, a lot of analysis and foresight needs to applied before reaching a final decision. Amongst this Nation Pension Scheme (NPS) is the one which not just offers to build a retirement corpus but is also one of the key tax saving tools. Due to its dual benefits, NPS has been an attractive investment option of the people at large. Let's take a closer look at NPS a carry out a critical assessment of what value NPS holds in the long-term investment planning. Also, it will be interesting to see whether it is a wealth builder or just a tax saving tool. National Pension System is the most popular Government supported pension scheme. It is available to the Indian citizens in the age group of 18-60. NPS was launched in 2004 by Pension Fund Regulatory and Development Authority (PFRDA). The minimum annual contribution for this scheme is Rs.1,000. Earlier the minimum contribution was Rs.6,000. National Pension Scheme (NPS), when it was initially launched, was only for the government employees. In the year 2009, the rules of the scheme were revised and the scheme was opened for all the citizens of India. The scheme allows you to invest on a regular basis in a pension account during the period you are in employment. Once you retire, you can withdraw a portion of the amount accumulated over the years, in a lumpsum while the remaining part of your corpus goes into buying an annuity through which you get a regular pension for the rest of your life. How To Open A NPS Account? NPS account opening is extremely easy. All you need to do is visit your local Point of Presence (POP). A Point of presence means a place i.e. banks (both private and public) which acts as a collection point for the government. Most of the financial institutions like post offices also work as POPs. If you are in the age bracket of 18 and 60 years and employed you are eligible to open NPS account. The only condition, however, is that the applicant should be Know Your Customer (KYC) compliant. The scheme is also available for NRI. NRIs can invest in NPS but if there is any change in the citizenship status of an NRI his/her NPS account gets deactivated. There are 2 types of NPS which are classified in Tier-I and Tier-II account. Tier-I is an obligatory account whereas Tier-II is voluntary. The difference between these two types is that in Tier-I account, you are not allowed to withdraw the entire corpus until your retirement. Furthermore, even after retirement, you can't withdraw the whole amount as you have to buy a compulsory annuity with the part of your corpus. The Tier-II account enjoys a greater flexibility. In Tier-II account, the subscriber is free to withdraw the entire money without incurring any penalty. NPS is a government-sponsored scheme, however, it has plenty of issues which make it a little difficult for the investors. First and foremost is the stringent conditions forced on the withdrawal of post-retirement corpus and compulsory annuity at the end of the term are some of the issues that force investors to look for better and more flexible investment options. Here are some of the disadvantages of NPS. Saving for retirement is a long-term goal. This long period needs to be used carefully to build the retirement corpus. It has been proven, over the years, that equity (stock investment) has delivered the best return compared to any other assets class i.e debt, gold, and real estate. The biggest problem with NPS is that it offers an equity investment option but it only offers 50 percent of your money into equity under the scheme E fund option. The other 50 percent of your investment, even in the scheme E fund option, is invested in debt instruments. Restricting equity investment limits the growth potential of the scheme. In most of the investment schemes, at the end of the term, you get to withdraw your entire amount. In the case of NPS, once your term matures, it is compulsory for the investor to invest minimum 40 percent of the accumulated amount in an annuity scheme through which he/she gets a regular pension for the rest of the life. This scheme has to be purchased from an insurance company. It simply means that this amount is locked in for a lifetime. Let's try to understand with the help of an example, if one builds a retirement corpus of Rs.80 lakh in NPS, then Rs.32 lakh (40%, if you are exiting NPS at age 60, and 80% if exiting before 60) will be invested in an Immediate Annuity scheme that will give you a pension for the lifetime. Hence, the amount of Rs.32 lakh will never be returned to the investor. Also, the point to note here is that the annuity Is taxable, which means the portion of principal gets taxed. As the capital invested in the annuity is from your corpus, in a way, it means that NPS is not a tax-free scheme. NPS is a tax-free scheme. But if you do the analysis, you will see the cracks appearing. As we learned above that 40% of your invested amount is invested in an Annuity scheme, the portion of the annuity that you receive, which is a part of your own capital (savings made during the investment phase) is taxable. It essentially means, you are paying tax on your own investment and not on the income earned. Furthermore, the amount of pension that you get after inflation-adjustment is about equal to the amount one saves during the investment phase. Hence, it is simply delaying taxes during the accumulation phase so you can pay it on the annuity. You must be wondering whats the difference between Tier-I & Tier-2 account? Tax Benefits Under section 80C Rs.1,50,000 can be claimed for deduction. In NPS, investors get to choose from asset class E, asset class C and asset class G.
Asset Class E - Invests your funds in equity. However, the point remember is that even if you choose this asset class only 50% of your funds are invested in equity while the rest of the funds are invested in debt. This is the high-risk option. Asset Class C - Invests fixed income instruments other than the government bonds. As the funds are invested in debt instruments, this is considered a medium risk option. You can choose the asset class of your liking. If you don't want to actively choose any asset class PFRDA will do it for you. Also, you are free to change your preference at any point, however, it can only be exercised once in a year. Should We Invest In NPS? retirement investment. On this counts, NPS fails to deliver. To build a good retirement corpus you can't rely on a medium which does not allow 100% equity exposure. 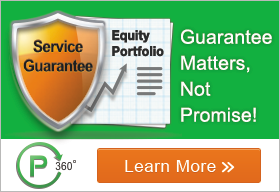 Equity investment is the backbone of long-term investment. In NPS's asset class E, investors get the option to invest in equity, however, it's only 50% exposure. Moreover, there are rigid conditions on withdrawal in the tier-1 account which restricts investors' option to invest the amount they receive at the end of the term as 60% of it goes into buying the annuity plan. If an investor receives the amount in full he/she can invest it in better mediums i.e. mutual funds to get a higher pension than what the NPS annuity may give. Furthermore, the annuity is fully taxable. These are the issues which make NPS an infeasible option to meet the retirement goals. However, in terms of tax saving, NPS can be a useful option. NPS allows tax deductions in 2 sections - Rs.1,50,000 under Section 80C and Rs.50,000 under section 80CCD. Under section 80C there are various tax-saving alternatives which help you save tax at the same time give better returns e.g. ELSS. In ELSS, the locking period is of 3 years (shortest in any tax-saving instrument) and as your funds are invested in equity, there is a possibility of better returns than PPF and NPS. Thus you can skip NPS for deductions under Section 80C. But Section 80CCD is the biggest bonus. No other invest tax-saving instrument offers dual benefits. This is the only advantage of National Pension Scheme.